16mm, 1/25 sec at ƒ/10, ISO 320, tripod. 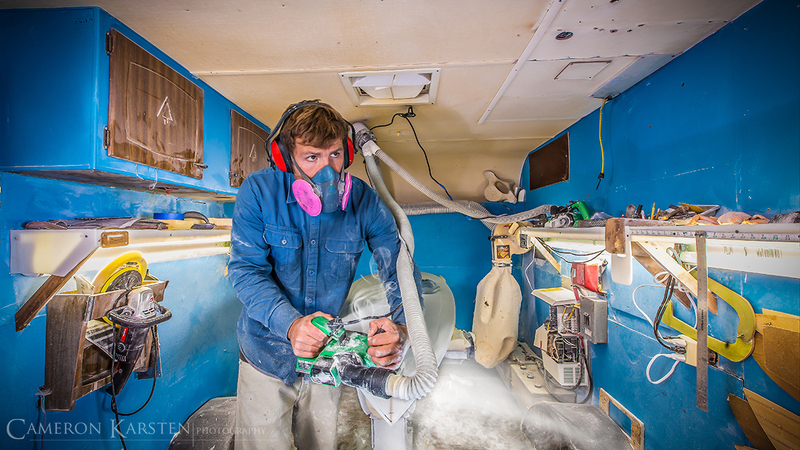 Working on a video project with a surfboard shaper, I decided to grab a quick shot of the man in action. And the board he is shaping will be shortly in the water under my feet.